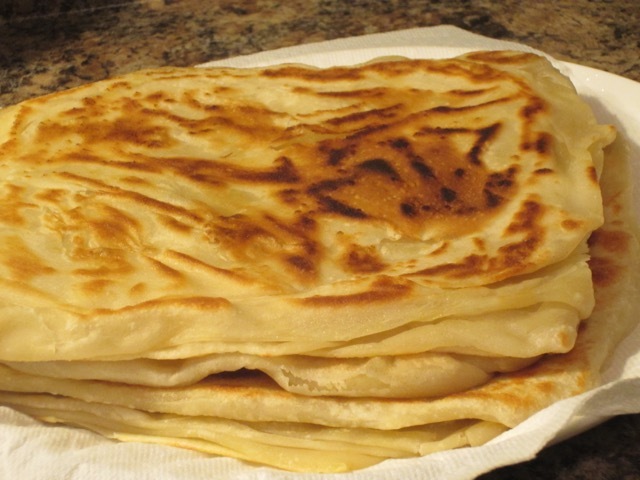 I saw this video on you tube and I knew I wanted to make Yemeni Bread. That day I had planned to make some roast chicken and potatoes for dinner. The chicken had already been washed and trussed, and rubbed with herbs and spices, so this part of the plan could not be changed, but the potatoes were still sitting in a bag, in the cold room, so they were hurriedly tossed aside. That night we had roast chicken and Yemeni Bread. A strange combination perhaps but the excitement and expectation, overrode everything. 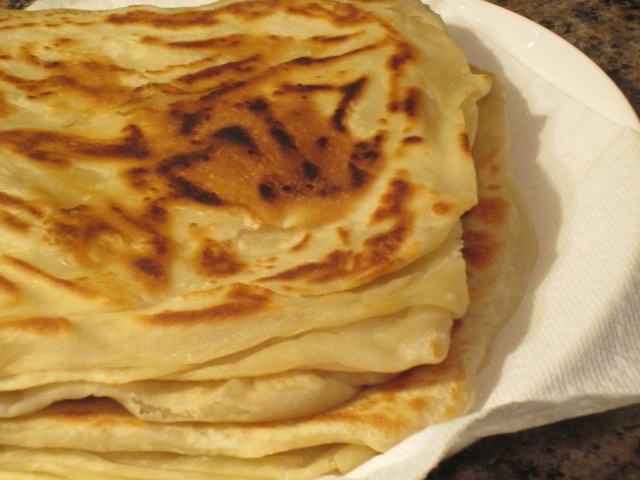 In Somali, this bread is called Sabayad, and is traditionally served with beef stew, dhal or beans. 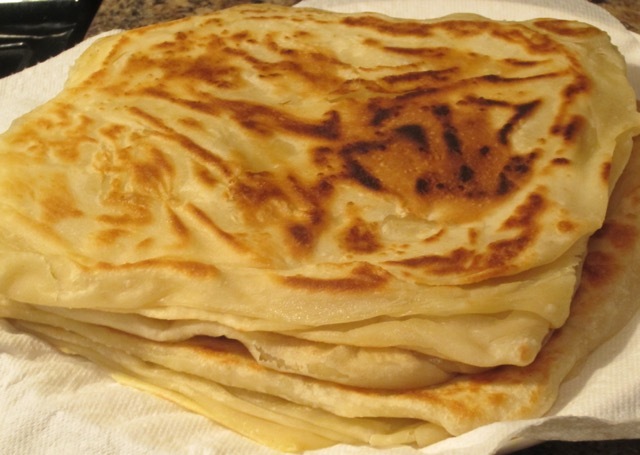 In Tunisia it’s called Mlawi but they use bread flour and semolina to make it. I opted to use salted butter to make the bread but you can also use vegetable oil, ghee or olive oil. It was a little on the oily side but very delicious and addictive. The next time I make it, I would still use butter, because it gives the best taste, in my opinion. If you ever decide to make the bread please watch the video first. I would like to thank Catherine from shebayemenifood.com for posting the video on you-tube. 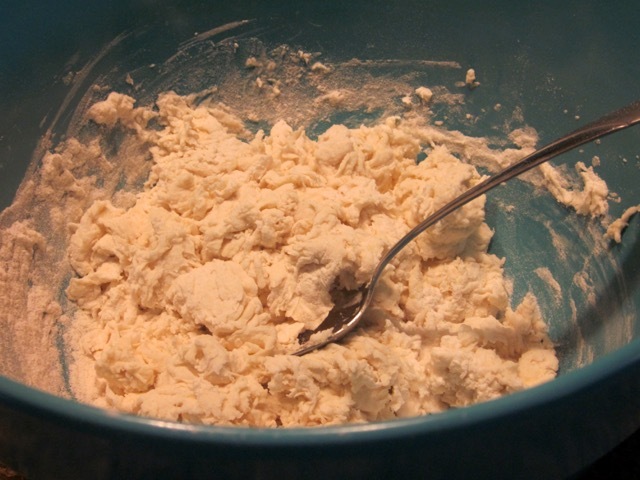 Mix the flour and salt in a large bowl. 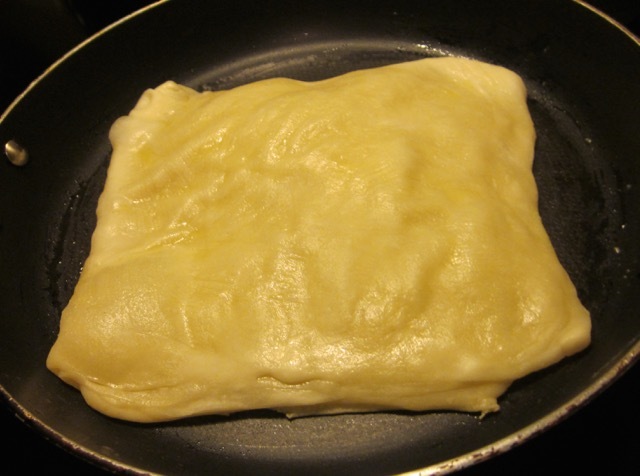 Make a well in the centre and add almost all the water and olive oil and mix to a soft almost sticky dough. (I had only 3 tablespoons of water left). 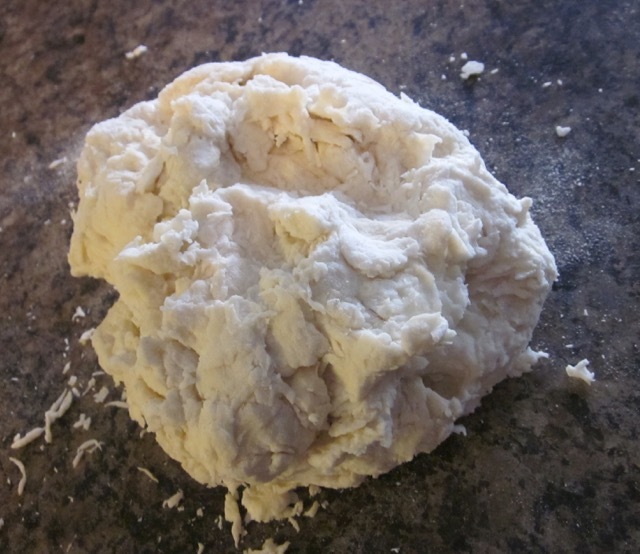 Turn on a floured surface and knead for 15 minutes until smooth and elastic (if sticky add a little flour at time). If you have an electric mixer with a dough hook it will take 10 minutes. This stage is very important because the dough has to be elastic. 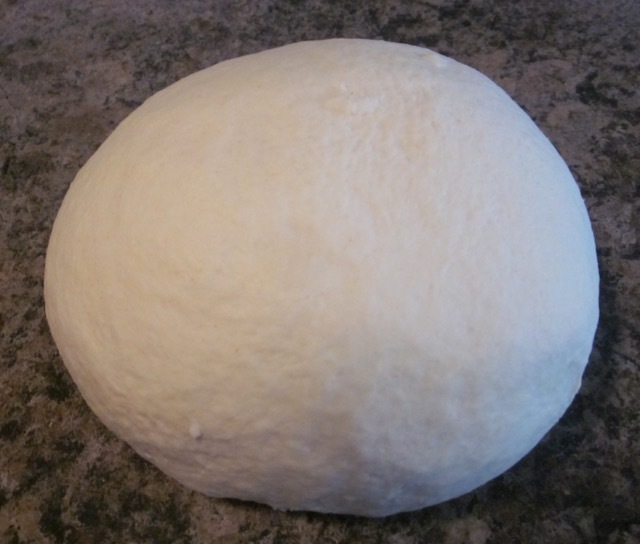 The dough should be smooth and elastic after kneading. 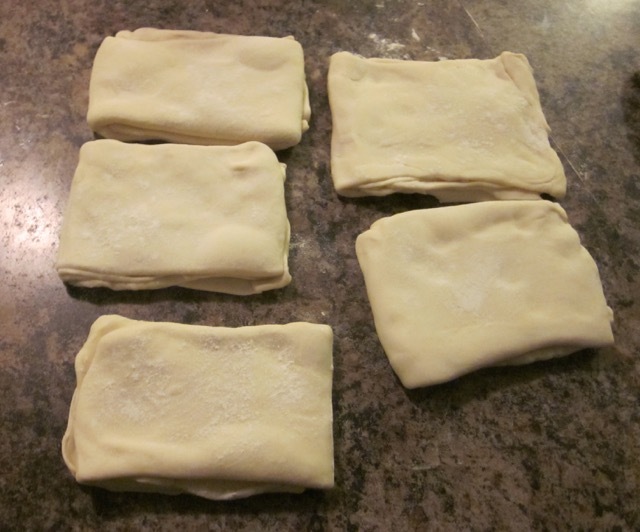 Divide the dough into five equal pieces. Form each piece into a smooth ball and cover with a kitchen towel and let rest for 20 minutes. 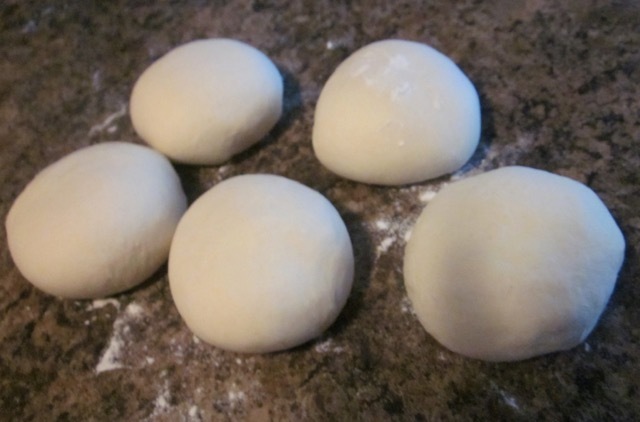 (The dough weighed 1037g so I divided it into 5 pieces of about 200g each. )-this resting stage is very important. 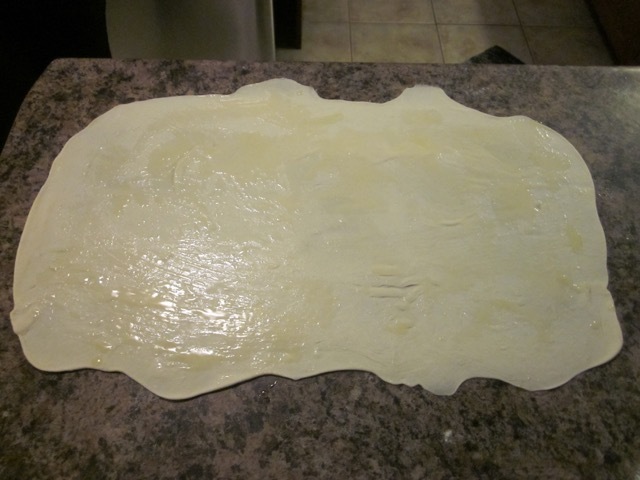 Take one rested dough, and roll out into a large thin transparent oblong (you can either use a rolling pin or stretch it out using your hands, whichever you find easy. (my oblong was about 18 x 12 inches). Sprinkle the melted butter all over the surface of the dough. (This was the first one I rolled out, quite crooked LOL. The others were better but I forgot to take pictures and all this was happening at night). Then fold one third of one side, lengthwise, towards the middle. Sprinkle butter on the folded side. 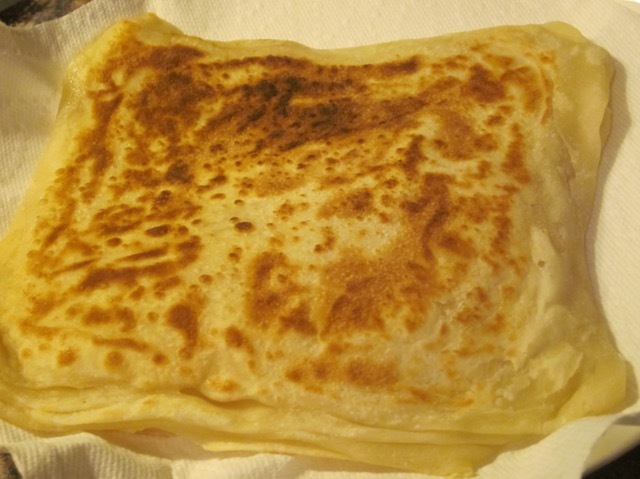 Fold the remaining side towards the middle and sprinkle some butter on top. Then fold the long strip into thirds. Cover and let rest for 15 minutes. (It’s important that the dough actually rests for 15 minutes). Repeat the procedure with the rest of the dough. Meanwhile preheat a cast iron griddle or a heavy based non-stick pan, to medium high heat (I just used my T-Fal non-stick pan and it worked just fine). 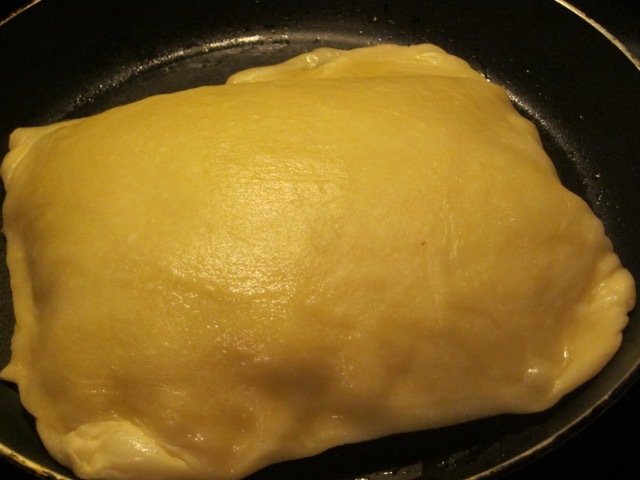 Roll one of the rested doughs into an oblong (mine was 9 x 8 inches-the size will depend on the size of your pan). Brush one side with butter, place the buttered side on the pan and brush the top with butter, too. Cook the bread on each side for about 3-5 minutes or until it turns golden brown. If it puffs up, don’t worry just press it with the spatula. Mine really puffed out and it was exciting to see the bread turning out exactly as I’d seen it on you-tube. There we go. My very first Yemeni bread ever. 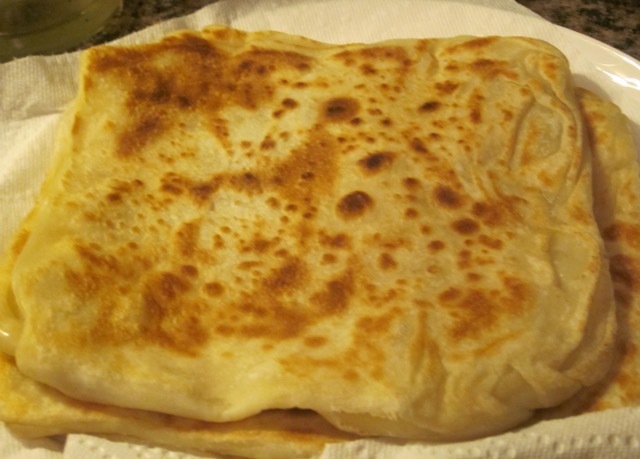 I was now the proud owner of a Yemeni bread….. I served mine with the roasted chicken I had earlier planned to make before Yemeni bread interrupted my well-layed out schedule. Have a wonderful week my friend. Happy Yemeni Bread eating!!!! 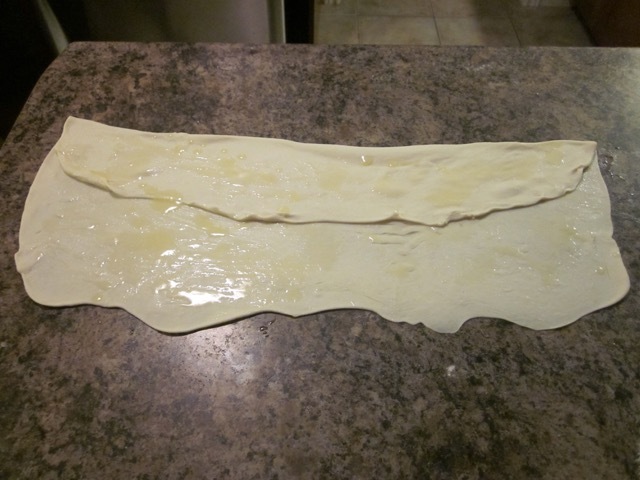 Take one rested dough, and roll out into a large thin transparent oblong (you can either use a rolling pin or stretch it out using your hands, whichever you find easy. (my oblong was about 18 x 12 inches). Sprinkle the melted butter all over the surface of the dough. 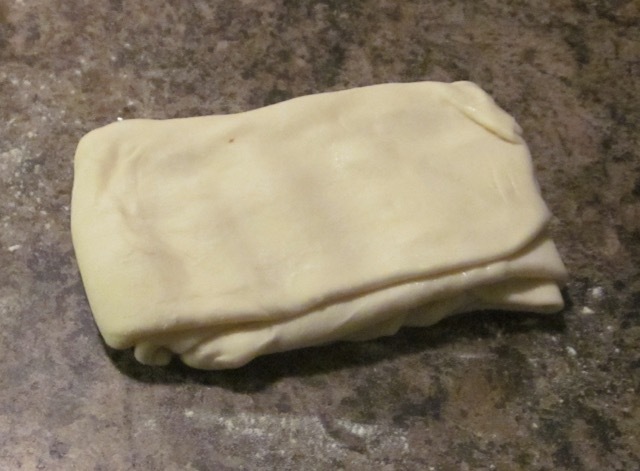 Then fold one third of one side, lengthwise, towards the middle. Sprinkle butter on the folded side. 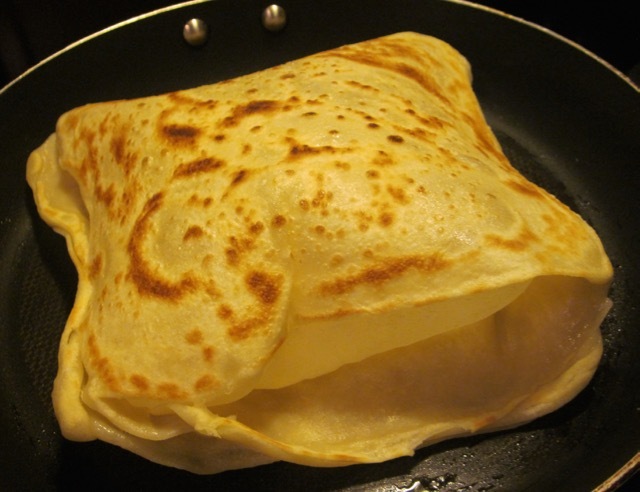 Fold the remaining side towards the middle and sprinkle some butter on top. Then fold the long strip into thirds. Cover and let rest for 15 minutes. Repeat the procedure with the rest of the doughs. Repeat the procedure with the rest of the dough. Serve with?? ?….I leave it to you to decide. Own notes: 900g flour + 3 cups less 4 tablespoons. Nice! This bread looks great! I had this last night for dinner. It was awesome! I can’t wait to make this bread. I, too, had never heard of it. It looks simply delicious. I’m going to ‘pin’ it – but I’m also gonna print it out so I’ll remember to make this soon. How’s your autumn going so far? I made it the first time I posted and yesterday I made 12 breads for dinner. Everybody loved them. I hope you find time to make them. Have a wonderful week! I never heard of it until the day I made it and ate it. Now it’s become a family favourite. Have a wonderful weekend! I made 12 of these last night for dinner. Everybody loved them! Ok good luck and thanks for popping by! You did it again! Surprised me with this wonderful looking bread! I am going to try it! I wonder if it would be an interesting addition to Thanksgiving? Invited out but I’m brining veggies and buns! What do you think Liz, would this work with turkey? Can you believe summer is behind us already? The good news is, we are finally getting some rain. Hope your week is going well! I had an early thanksgiving dinner because there are other dinners scheduled for Sunday and guess what I made with the turkey? Yemeni Bread of course. Everybody loved it. I ate one whole bread and now I can hardly lie comfortably in bed..LOL. The bread is addictive. It has certainly become one of our family’s favourites!!! I wish you a happy thanksgiving, Sandy. And thanks so much for your kindness. Looks incredible. What a wonderful looking bread. I may have to bring out my jumbo cast iron skillet and try this sometime. This bread is addictive. I can’t stop thinking about it. It tastes so damn good. I don’t know what to say!!! Thanks for popping by and enjoy the rest of the week! Well now I must definitely try it! I wish you the best of luck. You’ll love it!!! Yes it’s not difficult to make. I am not sure gluten free flour could give the same texture because the dough needs to be very elastic to enable paper thin rolling. Let me know what happens. Have a pleasant week! Thank you. It tasted really nice. I’m planning to make some over the weekend. Don’t we all wish we were neighbours. It would be totally awesome…can you imagine!!!! This is such a rich flat bread! Love unleavened bread..
Me too. Nice to see you after a long period of silence. Have a great week! This was my first time and I must say it tasted really nice. It’s addictive!!! Let me look at the link right now. I love all kinds of breads! Liz – it looked amazing – I am tempted to make it sometime soon, I love all kinds of breads as well, and I love discovering new breads! Me too. Bread is the best part of cooking and baking! It does look very good! You are willing to go to a lot of trouble for your bread habit! Thank you. I love making bread so it’s not trouble at al but great fun. Enjoy the rest of the week! Oh those look so yummy! Butter is my favorite flavor! I can see my cast iron skillet pawing at the ground with excitement to make these breads! It was delicious and filling. What more can I say??? enjoy the rest of the week!